This species has leafy colonies, usually in single leaves that become whirls of fan or bowl shapes as they grow. Calices usually run in long concentric series separated by rather steep ridges, though in some these series are short. When large, the scrolling form of the colonies distinguishes it easily from A. fragilis, but small colonies of this species are fairly similar. 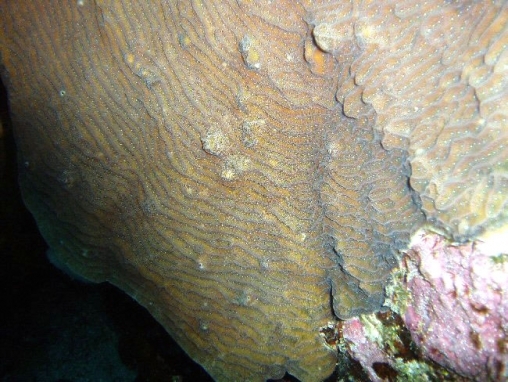 However, its colony surface has a smoother appearance than A. fragilis, and its corallites are larger and more widely spaced. Skeletons are perhaps more easily confused with A. lamarcki, although the corallites are not as large and the tops of the ridges are more pointed.